Over the past decade projectors have certainly come a very long way. Today, there are many more meaningful types of projector categories which include ones for business use (presentations), gaming and home theater. The technology has also evolved to offer a number of options i.e. LCD, DLP, LCOS, plus now you need to wrap your head around various terms like throw distance which is the distance from the screen etc. If you want to hire a projector from a service like Sound Agents there are a number of questions you should answer beforehand. What type of images do you want to show? Before you visit or contact a projector hire service it is important to understand exactly what you’re going to use the projector for. There are primarily four types of images that a projector will show i.e. data, games, photos and video. Almost all projectors can show these types of images but there are some projectors that are designed to handle one type of image very well and not all others. So, you will want to purchase a projector that can handle the images you want to show. Business projectors: these specialize in showing data, still images and slow moving video. Home entertainment projectors: These will show video and games. It will display data too but may be slightly fuzzy. Gaming projectors: These are especially designed for gaming, their high refresh rate allows them to keep up with the high frame rate of games. Do you want the projector to be portable? Even though projector sizes have been shrinking over the years but not all projectors are small enough to carry around in your bag. High quality projectors used to display rich multimedia are almost always large. 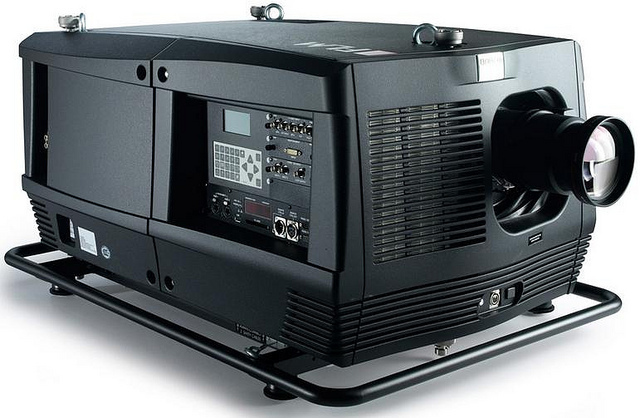 Also, the majority of projector hire services will just have large projectors for hire. There are some instances where you may actually require that the service setup the projector for you. If you are planning on connecting video equipment, a computer or a gaming machine the important thing is to match the resolution of the machine. If you are planning on showing data images, it is important to consider how detailed these images will be. A typical PowerPoint presentation is 800 by 600 pixels and is something that a cheap SVGA projector will suffice for. More detailed images and video will require that you hire a 1080p projector. Also, called HD projectors these are the best choice for Blu-ray players, up scaling DVD video and playing other high definition content. That said connecting the projector to a cable box will result in a lower resolution output unless the channels you’re getting are high res 720p at the very least. Will you need Widescreen format? If you are going to hire a projector for games and video then widescreen format is what you’ll need. Today, widescreen format works best even for data because wide screen native resolutions have become increasingly common thanks to widescreen monitors used in offices. Presentations or notes created on a widescreen laptop or computer will look best on a projector with widescreen capabilities. Most of the Projector hire companies often try to hold the person renting the projector responsible for any problems that it may develop. However, many companies have pretty strict policies and ensure that the projector is in perfect condition prior to it being rented. Still though always read the agreement carefully to find out if you will be responsible for any defects spotted when you return the device. Also, find out if the company will replace a defective projector. You also need to find out the company’s policy on late returns, extra charges etc. Before you end up picking up a projector hire make sure to sign an agreement with the company. You need to have one copy of the agreement where a company representative has also signed to express his or her agreement of the terms. This will give you a solid legal standing in the event of a dispute. Ideally, the company’s insurance provider should cover anything that goes wrong with what you hire. Things like electrical surges, floods, fires and accidents should all be covered by the insurance provider. So, it may be a good idea to find out if the company has insurance before hiring. Manu Alias has been running a projector hire service for over twenty years. He also sells and refurbished projectors from his office in Sydney. In addition Mark has a few entertainment services and businesses to his name too all of which are based in Sydney.